I know they're rare but let's try. So looking for MIJ Les paul Deluxe, goldtop. I know that Morris made some in 76, Aria also made some, not shure about other MIJ builders. There is also an option goldtop with P90, I have mini humbuckers spare set. There's also the late '70s pre Super Real Greco EG800, seems like a copy of the Gibson Les Paul Deluxe. I have one of the Aria Deluxe in sunburst, possibly a 1976 LD700, and it's a damn fine guitar. Like gibson with a pancake body and 3 piece neck. Unlike with fret edge binding, 2 piece centered top instead of the usual 3, 1 piece back and small vintage headstock. As good as the 2 "real" ones I've owned. Really like the mini humbuckers too. thanx, I'll check that Greco, didn't know they exist. 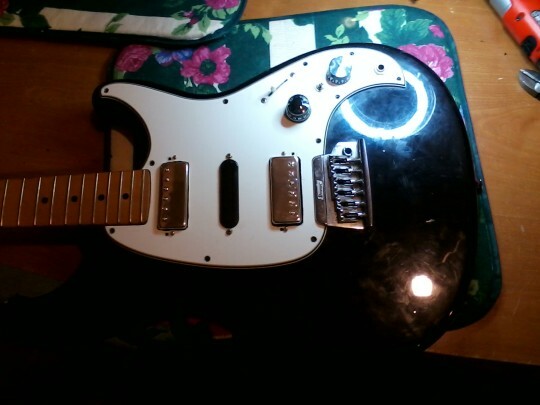 Loudmouse: thank you for link, we discussed some time ago about your guitar. I was looking for Aria but looks like they're really rare. 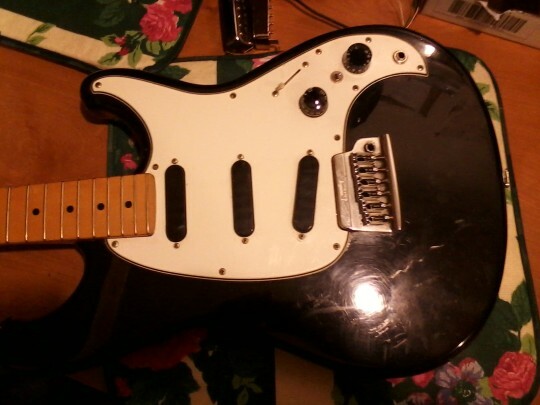 Put that set of minihumbuckers you already have in a guitar is a good way to go too. I added a pair to my Ibanez RS135 and they work great.